At Lantern & Larks we pride ourselves on being located in some of the best corners of the British countryside. Whether that be a characterful working farm, picturesque countryside or a historic estate. 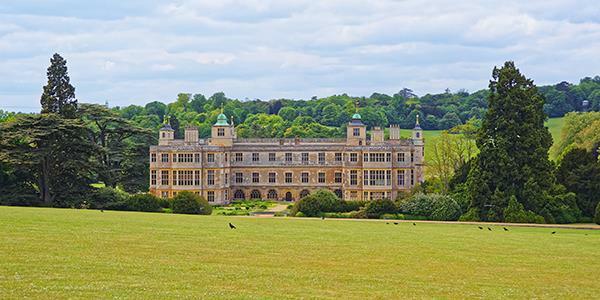 Exton Park is an 18th century estate which comprises a stately manor house and a 500-hectare parkland which has existed in some form or other since the 12th century. Our glamping site is located inside Exton's pretty walled garden, which is five acres in size and is a key part of the estate's long and interesting history. So why is a walled garden such a great place to experience Lantern & Larks glamping? Walled gardens are so quintessentially British. Large country estates have always prided themselves on their gardens and throughout the years traditions have changed and evolved. Notable 18th century landscape designers and architects such as Capability Brown and Humphry Repton have been hugely influential in garden design and their parklands tended to be sweeping, graceful and natural, a look which would come to work in harmony with the walled garden. The idea behind an enclosed garden can actually be dated back centuries; in Medieval Europe for example hedges or fencing was used for protection. But in the 18th century it was Batty Langley, a well-known garden designer, who put forward his plan for the 'compleat kitchen garden' design. The idea was that an enclosed rectangular plot with an east-west orientation should contain 32 beds of various edible plants. Country estates were already likely to include large areas of grazing land (following Capability Brown's designs) which meant the addition of a walled garden would ensure estates could become completely self-sufficient. In order to prolong the growing season for year-round produce, brick walls were added for protection and to absorb the sun's heat. Within the rectangular design the long south-facing wall would be where the fruit trees were trained and where the glasshouses were positioned to really take advantage of the sun. Intersecting paths would divide the interior into four sections, enabling a four-year crop rotation system. The walled kitchen garden really took off in the mid 19th century following the repeal of the glass tax – which made it a lot easier for people to build their glasshouses. 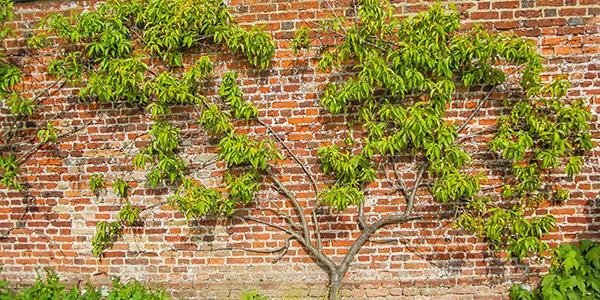 Following this mid 19th century boom, walled gardens started appearing throughout the country. The English garden was beginning to transform and sizeable estates throughout Britain began to follow the trend. Walled gardens could range in size from anywhere between 2 to 20 acres. Capability Brown was renowned for his love of sweeping views and natural-looking countryside. Working areas of the garden were not supposed to interfere with beautiful vistas and it was for this reason that when estates did begin to create walled kitchen gardens, they tended to be set at a distance from the house. What makes Exton Park's garden special? 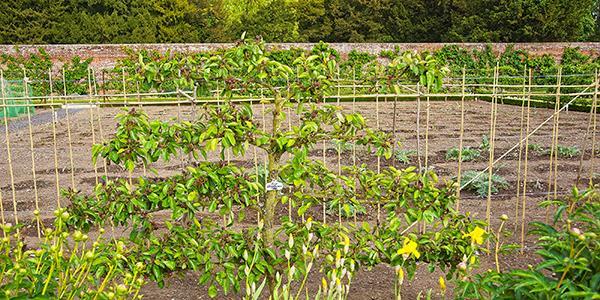 Exton's walled garden was originally created in the 18th century, at a time when the 'kitchen garden' was just beginning to take off. In 1810 Exton Park experienced a fire which forced all the inhabitants to relocate to and redevelop the nearby farmhouse. To make more space they moved the kitchen garden to its current location. The ornamental lake forms one side of the boundary, which is slightly unusual, and the two brick columns in the centre of the path would have formed the gateway in another of the boundary walls. These walls are thought to have been in place by 1829. The whole garden slopes downwards towards this ornamental lake and here you may be lucky enough to spot an osprey hunting for breakfast – the birds are inhabitants of the nearby Rutland Water Nature Reserve. 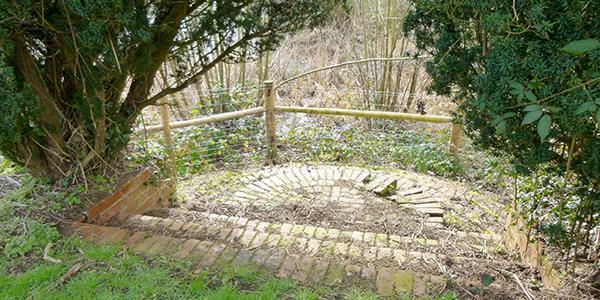 Many walled gardens had a central well or pool, but at Exton you can see the semi-circular steps leading down into the lake and this is where gardeners would have dipped their buckets for watering. Exton's garden was set out on a grid plan with intersecting paths that are still visible today. By the late 1800s the garden was growing peaches and nectarines against the south wall, fig trees and cherries, broccoli in the vegetable quarters, melons and pineapples in the frame-yard and an array of vines and flowers in the glasshouses. It was a very successful garden! Why not come and experience the Exton estate for yourself? 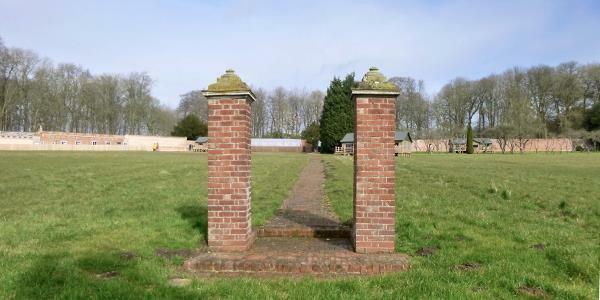 You'll be staying in the walled garden and will have access to a selection of wonderful country walks and public footpaths throughout a park that has existed since the 12th century. A huge thank you to Keith Aldridge for providing us with the information in his Short History of Exton Park Walled Kitchen Garden, along with the included photos of Exton Park.